In Ethiopia, faith in Christ can be traced back more than 1500 years and the ancient roots of this Christian community are seen throughout their culture. 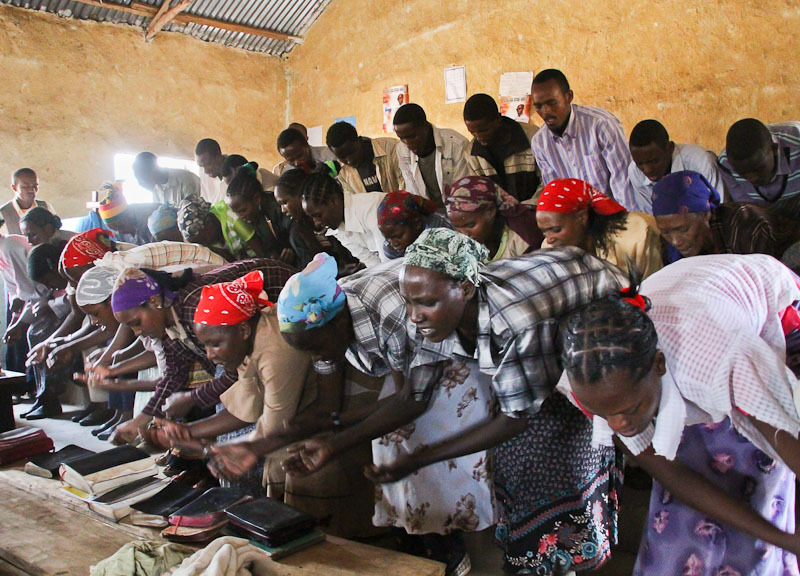 Worshipers show respect and reverence for God by bowing and swinging their arms back and forth – a uniquely Ethiopian cultural expression of worship. Despite this long history, one Ethiopian pastor said, “Many of our people haven’t really understood Christianity …. It seems to them like whole, unground grain, still indigestible.” There are 84 living languages in Ethiopia, 8 whole bibles and 35 active Bible translation projects underway. An audio version of the Bench New Testament has had a huge impact on Bench speakers – click here to read all about it. Thank you for your support of Bible translation projects this week.